If you have already used our service please feel free to let us know what you think. We would love to get your feedback on how we did and how we may be able to improve our service even further in the future. Apex Fire provide an excellent integrated service for our Corporate Head office delivering first class professional service in all areas of fire safety. To whom it may concern. 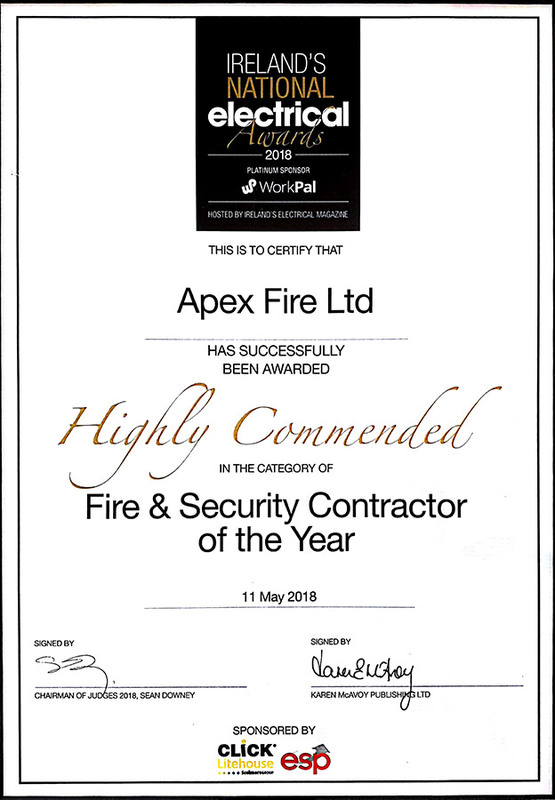 I had been dealing with APEX FIRE for over 10 years in a previous organisation and found them to be a courteous and very professional organisation that offered competitive rates without ever comprising on the quality of the equipment they supplied. When I started as general manager in my current role I sought the services of APEX FIRE to look after our needs and I guess that is the biggest compliment I can give the organisation. We are a Pork and Bacon Processing Plant based in Athlone, Co Roscommon. Right from our first introduction to Apex Fire, we were impressed with their efficient, professional manner – an approach that not only inspired confidence, but generated the results we were looking for. We needed an efficient service, personnel that would come on to our Company site access our needs and fulfil our requirements in a manner that not only ensured compliance with Health and Safety Regulations but also with no disruption to our production. Because of Apex fire years of experience and Professionalism Oliver Carty of Monksland Industrial Estate, Athlone, both endorse and recommend their expertise, knowledge and professionalism in all aspects of their dealing with us.